With the help of dexterous employees and modern facilities, we are presenting an inclusive gamut of Air Oil Separator in the market. With our expertise and trustworthiness, we are engaged in offering an optimum quality range of Air Oil Separator. 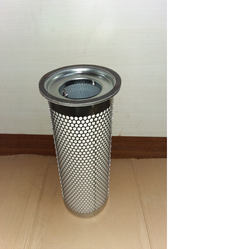 Our company has mastered the art in providing Air Oil Separator. Air Oil Separator for all screw compressors. Leveraging over the skills of our qualified team of professionals, we are instrumental in offering wide range of Air Oil Separator to our esteemed customers. 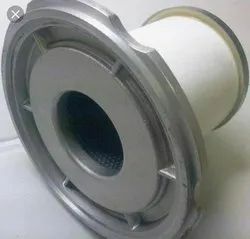 Our offered Air Oil Separator is extensively used for eliminating the oil from the engine ventilation system so the oil will not get sent through the intake system. Being a noteworthy enterprise of this industry, we are offering a wide spectrum of Air Oil Separator. We hold massive expertise and understanding in the domain of offering to our patrons an extensive consignment of Air Oil Separator. These offered products are developed by skilled personnel by making use of pristine grade basic material keeping in mind the précised desires of our patrons.